i Click 'view all' to instantly compare this fantastic deal with offers on other top amazon echo devices. 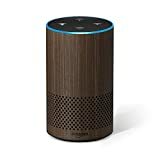 Amazon ECHO Smart Speaker 2nd Gen.with Alexa - HEATHER GRAY FABRIC is currently selling at $79.99, approximately $15.51 lower than average, giving a potential saving of $20.00 right now. With a lowest price of $79.99 and an average of $95.50 it is selling on the low end of its usual range. Price volatility is 0.3% (meaning it does not change often), so the price should stay low for a while. Right now this product is a recommended 'fantastic deal'. The current deal is also the best price on this item over the last month. 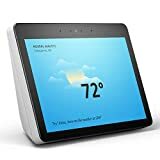 Compare the current price, savings (in dollars & percent) and Buy Ratings for the top Amazon Echo Devices that are closely related to Amazon ECHO Smart Speaker 2nd Gen.with Alexa - HEATHER GRAY FABRIC. Here is how Amazon ECHO Smart Speaker 2nd Gen.with Alexa - HEATHER GRAY FABRIC compares with other leading Amazon Echo Devices. FeaturesAll-new Echo (2nd Gen) has a new speaker, new design, and is available in a range of styles including fabrics and wood veneers. 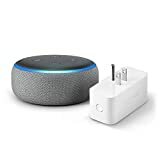 Echo connects to Alexa to play music, make calls, set alarms and timers, ask questions, control smart home devices, and more-instantly.Just ask for a song, artist, or genre from Amazon Music, Spotify, Pandora, and more. With multi-room music, you can play music on compatible Echo devices in different rooms. Echo can also play audiobooks, radio stations, news briefs, and more.Call or message anyone hands-free with your Echo device. 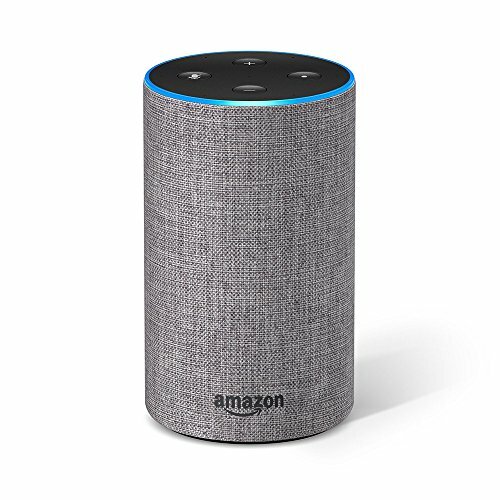 Also, instantly connect to other Echo devices in your home using just your voice.New speaker, now with Dolby processing for crisp vocals and dynamic bass response. Echo can fill the room with 360° omnidirectional audio.